I have eaten exactly 1/4 of a hard-boiled egg in my life, and it was in a salad on the plane on the way to Berlin. It was … fine. At the time, I didn’t realize how appropriate this experience was. Eggs that have been boiled are quite popular in Germany. At least, they are judging by the popularity of cups to hold them in. How popular are egg cups, you ask? 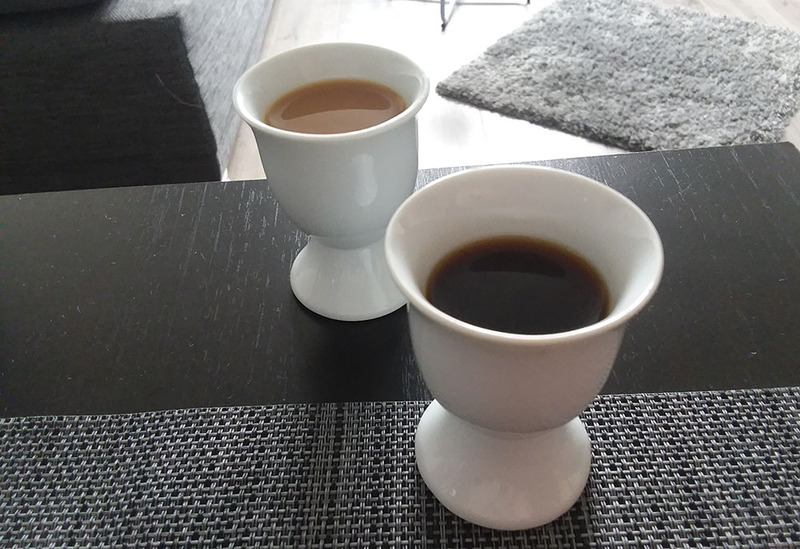 Well, the cupboard in the furnished apartment we’re renting contains (among other things) three coffee cups… and four egg cups. Egg cups, as far as my research has taught me, are best for soft-boiled eggs, which I’ve never eaten. I’ve only just gotten comfortable with cooking eggs in a pan, so I’m not quite ready to make the jump to … cooking them in a pot? With water? The process seems fairly simple (I understand some boiling is involved), but we’ve been here for nearly 3 months, and every egg I’ve cooked has gone from a pan onto a plate or a slice of toast. I should make it clear that I don’t really have anything against eggs. I was a vegetarian for many years, and, in my particular brand of vegetarianism, I didn’t eat eggs or foodstuffs with eggs in them. I’ve since reverted to a more omnivorous diet, but eggs took a while to get used to. The sliminess of raw eggs is a uniquely unpleasant experience, and the fact that people actually like it when the yolk of a cooked egg is still somewhat runny makes me shudder. Emma is a bit of an egg aficionado (an egg-ficianado, if you will), so I’ve had my fare share of eggs in the past 9 years or so. I can even cook a mean sunny-side-up nowadays (for Emma; I still prefer mine cooked solidly through). My point, though, is that it was relatively easy for me to live in Boston for nearly 10 years and never eat a soft-boiled or hard-boiled egg, so I was at a loss for what to do with this new ceramic accessory. So, I experimented with some other uses for them. We sent this photo to our friend Ramona on her birthday with the caption “Nich’ lang’ schnacken, Kopp in’ Nacken!” which is a phrase she taught us in Low German, a different language spoken in northern Germany and parts of the Netherlands. If you’re wondering what this phrase means, you may want to check out Emma’s illustration of it. As coffee cups, they left something to be desired. The coffee was too hot to down in a single gulp like a shot, such a small quantity gets cold quite quickly, and, even if you drink it at the exact right speed, it’s still gone in two sips, leaving you to stand up and get more from the percolator. 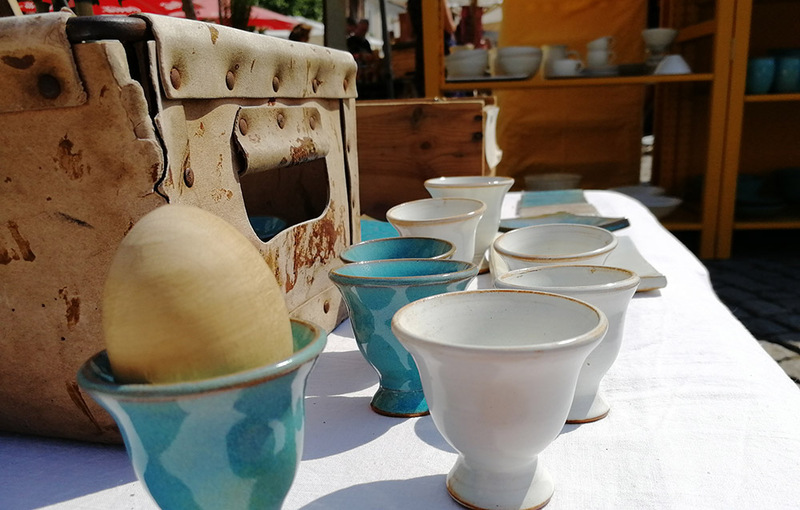 We have learned that using the egg cups to drink shots is not an uncommon practice in German households, though alcohol is typically used instead of coffee. 3/10 – Would not recommend drinking coffee out of egg cups and would recommend bringing more than a single coffee mug when moving abroad. Two of these egg cups contain unopened avocados, and one contains some pre-sliced avocado. Can you guess which is which?! In making burrito bowls for dinner a few nights ago, I found myself lacking a convenient place to leave the sliced avocado while I continued slicing vegetables. Yes, I could have dirtied a bowl or a plate, but I had only sliced half an avocado, and I didn’t need that much space. 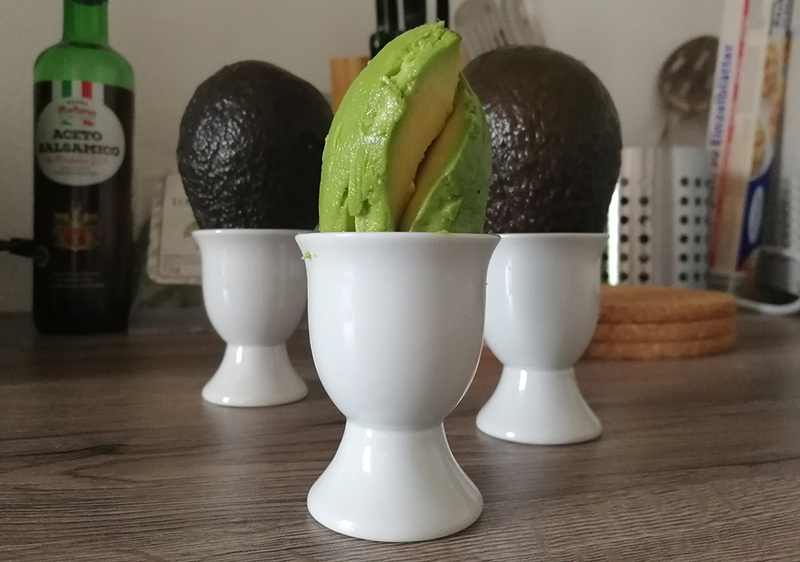 The egg cup was a perfect fit for the 8 avocado slices I was seeking a temporary home for. The fact that I had two more avocados to arrange decoratively in the background was, I think, just a bonus. Incidentally, I had read before moving to Berlin that it might be difficult to find burrito-bowl-like fare, with a relative dearth of Mexican restaurants compared to the U.S. I have found this to not be the case; there is a Mexican restaurant just on the other side of our train station (well, Tex-Mex, with emphasis on “steaks”), and there’s a place that does Taco Tuesday not much farther down the road. 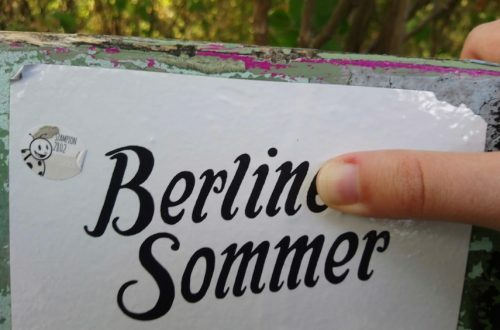 My guess is that I was reading articles and blog posts from a few years ago, and, in the last few years, Berlin has seen an influx of this type of restaurants, swooping in to fill the demand supplied by taco-ficionados like myself. I am, however, profoundly disappointed in the store-bought salsa options – its sugar content means it shares more in common with ketchup than with the salsa I’m used to. 9/10 – Would recommend putting 1 whole avocado or no more than 8 slices of avocado into an egg cup when you need cutting board space. Yeah, those were the only two I’ve managed so far. It turns out that very small ceramic cups are not something I really need in my everyday life. If I had an espresso machine, I might put shots of espresso in them. If I had more freezer space, I might make tiny ice pops. As it is, though, I guess I’m going to keep waiting to like runny yolks more. 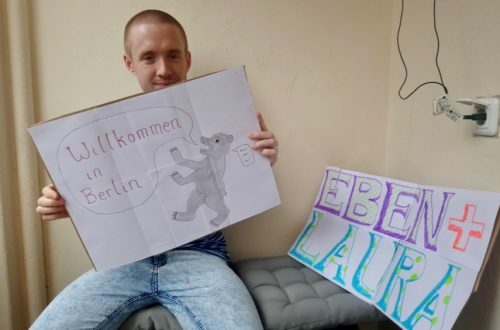 Ian Burnette has been to 4 countries in his life: United States, Canada, Spain, Canada again, and Germany, where he moved with Emma in 2018 for a game development job. He gets lost easily and is impressed by scale (large or small). Hi Em, a very well written piece right here, and quite comical too. I chuckled more than a few times. Loved the pics, especially the avocados in the cups. 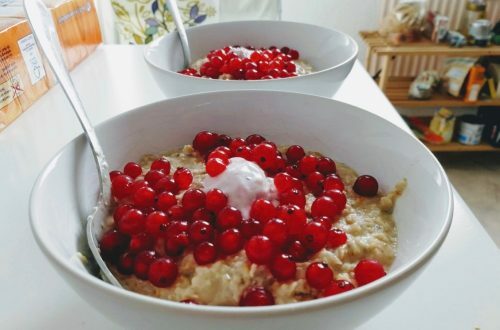 (I always like to see what’s in the background of the close-ups, a good looking bottle of balsalmic vinegar, knives, a slotted spoon…) to catch a few little details of your life there. You know I love details…I never knew there was so much to say about eggs! or egg cups. I can’t say that I’ve ever eaten an egg out of one either. You just don’t see them in these parts. I don’t like the thought of the runny parts either. But, I think if I had a few egg cups hanging around, I’d have little bits of flowers, or stems of things I wanted to root. I think they’d look quite beautiful with a pretty little nose gay of short stemmed pink, red, or blue posies, right? Just thought I’d offer a suggestion, to save the poor items just waiting for use in the cupboard. Surely you can find a few little pretty bits of something to put in them to help brighten up the place. You might need them in your life, after all. Thanks for the great post! I’m happy to see you’re having such fun. Love to you both.